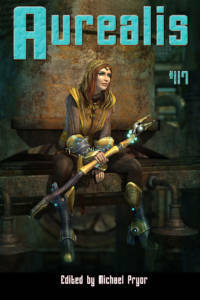 Aurealis #117 features fiction from Carolyn Hine, J. Ashley Smith and Eric Del Carlo, plus non-fiction from Amy Laurens and Lachlan Walter. Carolyn Hine lives in rural Victoria wither her partner, kids, cats, chickens and fish. At university she studied literature and genetics, never quite able to choose between science or fiction. She spends her time reading, writing, cooking, running, learning judo, playing D&D, and studying science education. Carolyn is currently editing her first novel. 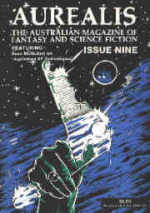 J Ashley Smith is a British–Australian writer of dark speculative fiction. 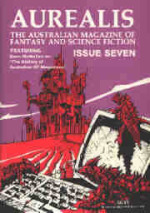 His story, ‘Old Growth’, won Best Horror Short Story in the 2017 Aurealis Awards, while two others were shortlisted in Best Horror and Best Fantasy. His work has appeared or is forthcoming in Dimension6, Tales to Terrify, Pantheon Magazine and Bourbon Penn. J gathers moth dust in the suburbs of North Canberra. 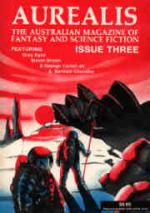 Eric Del Carlo's short fiction has appeared in Analog, Asimov's, Strange Horizons, Unfit Magazine, and many other magazines and anthologies over the years. 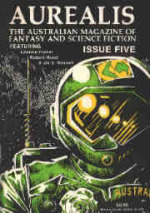 He co-wrote the Wartorn sword and sorcery novels with Robert Asprin, published by Ace Books, and collaborated with his father Vic Del Carlo on the urban fantasy novel The Golden Gate Is Empty. He lives in his native California. Lachlan Walter is a writer, science-fiction critic and nursery-hand (the garden kind, not the baby kind). He is the author of two books: the deeply Australian post-apocalyptic tale The Rain Never Came, and the upcoming Kaiju story-cycle 'We Call It Monster'. It’s poorly appreciated, but writing is an occupation which has hazards. Most writers, at one time or another, will suffer from at least one of the following diseases, conditions or injuries. Most are treatable and, with appropriate therapy, writers can look forward to living relatively full and normal lives. Adjectivitis: condition especially pronounced at first draft, where adjectives spawn, multiply and run rampant through one’s writing. Criticosis: a type of writing paralysis caused by overly active and insistent self-criticism. Swelled Head Syndrome: condition that comes from reading too many glowing reviews. Rare. Commadosis: A proliferation of commas so virile that they infect and convert all other punctuation. Over Capitalisation: particularly common in Fantasy writing, where everything is made strangely Portentous by Splashing Capital Letters around Willy-Nilly. Adverbia: the helpless need to add adverbs to every verb, relentlessly, inexorably, unstoppably. The Grumps: envy stemming from the success of other writers. Common. My Own Myopia: a form of selective blindness where a writer cannot see his or her own poor writing. Forehead Haematoma: bruising to the brow, resulting from banging one’s head on the desk because of recalcitrant scenes, characters, plot developments etc. Weighty Word Syndrome: a condition where every single word seems to weigh hundreds of kilos and requires commensurate effort to put in place. See ‘Immense Sentence Disorder’. Hyperplotting: a deep-seated compulsion to construct narratives that rely on the regular use of the word ‘suddenly’. Complications Complex: a form of writer delusion where ‘Complicatedness’ is mistaken for ‘Complexity’. Naturally, this list is not exhaustive. Writers are more than capable of inventing new conditions at the drop of a hat. It is only through regular donations to writing-related medical research that we can hope to ameliorate the effects of Writing Diseases. Having an imaginary friend was almost mandatory amongst the younger urchins running about the streets of Madina Harir. Thrown into a hard life scrounging for every scrap of food and staying out of the way of the authorities, every child needed a kind figure to listen to their troubles as they drifted off to sleep in whatever hidden nook was available. Imaginary friends were not as capricious as the other urchins, who sometimes ostracised their peers for being odd-looking, or too good at begging, or too likely to attract the attention of the authorities. Imaginary friends didn’t care about any of that. So here we are, little one. Our new home sweet home. Not that I’ve fixed up your bedroom yet, but there’s still time. And it’ll be lovely, Noodle, I promise. We’ll go down to the shop tomorrow and look at colours. I’ll paint you a mural, get one of those things that dangles over your bed. When you look out your window, you’ll see the garden and the trees and the mountain behind. When you’re big you can walk out the back gate and spend all day up there, among the shinglebacks and roos and galahs. I’ll blow a whistle when dinner’s ready and you’ll come running back. Shadows spilled greenly up the Wall as moist night time came. 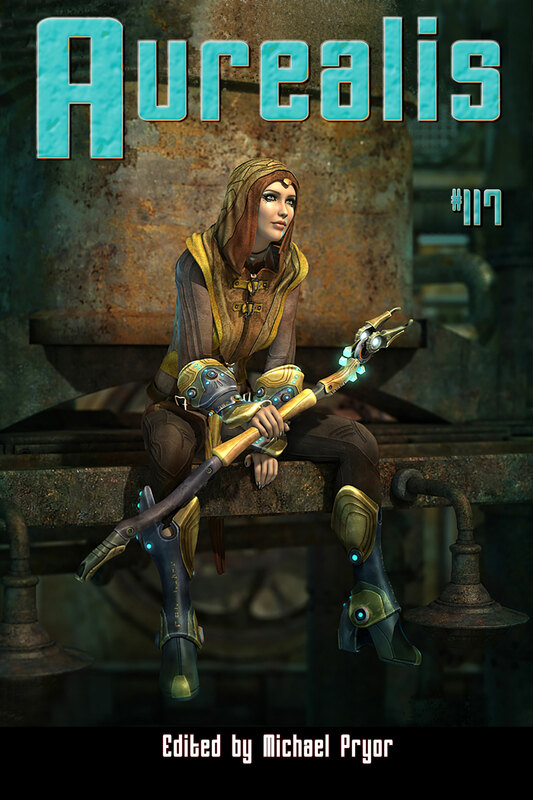 Hock picked her steps through the trash and spongy moss heaped along the Wall’s base. No one could jump her for money, of course. All transactions went through her old netter, instantaneously into firewalled accounts pigeonholed in the electronic ether. She got her small commish with every sale she made. Use a checklist of government types found online. Model your world off an existing Earth culture. It’s like bingo for SF & F writers, right?